What is an IMG File? What is it Related to ISO? An IMG file is a disc image file created by various disc imaging applications that can store raw disk images of optical discs, hard drives, floppy disks, or a vector graphic file. The IMG file involved in this article refers to the optical disc image file. So, what does it have to do with the ISO that we know well? Let's take a brief look at this, and the later part of this article will explain the way to convert IMG to ISO. 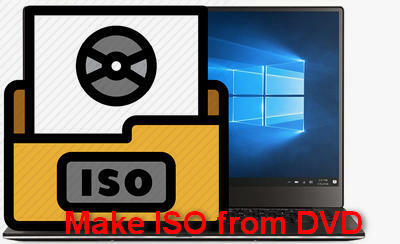 Do you want to copy your DVDs to ISO digital files? WonderFox DVD Ripper Pro is a useful DVD ripping software for you to make ISO from all kinds of DVDs including those encrypted ones! 1. ISO image is a common optical disc image file, usually with .iso as the suffix name, but sometimes it also uses .img extension. 2. IMG can be either compressed or uncompressed while ISO cannot be compressed. 3. There is no difference if both ISO and IMG follow the structure of optical disc system (ISO 9660 or UDF) and contain the same disc content with only single track. 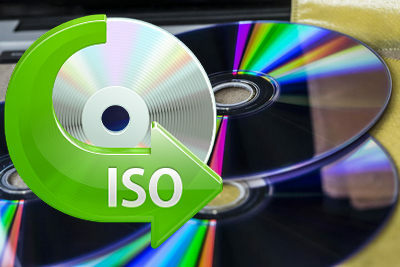 However, in contrast, ISO is a global standard that is almost compatible with all operating systems, CD/DVD, and imaging programs and applications. Therefore, converting IMG to ISO is a common requirement for many people. Step 1: So as to rename IMG to ISO, firstly, you need to open the Control Panel and click Appearance and Personalization. 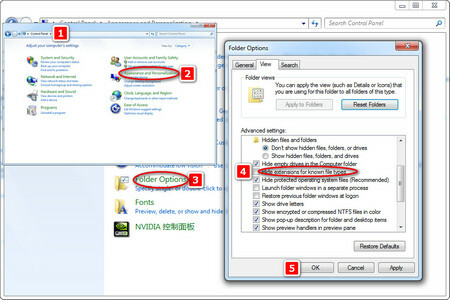 Step 2: Click Show hidden files and folders under Folder Options. Step 3: Uncheck Hide extensions for known file types, and then click OK. Step 4: Now right-click on the IMG file and select Rename. Finally, rename your file from .img to .iso. Previously, we have already mentioned that Anyburn is more than CD/DVD/Blu-ray burning software, it can also be used as an IMG file extractor to extract IMG file. And today, we will tell you how to use Anyburn as an IMG to ISO converter. Next, let’s go to the detailed steps of converting IMG file to ISO. Step 1: Before converting IMG to ISO, you need to download and install Anyburn. Here is its download link: http://www.anyburn.com/. 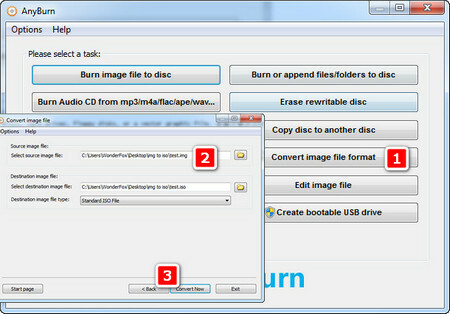 Step 2: Launch Anyburn and click on Convert image file format. Step 3: Select the source IMG file, and select the destination IMG file type to ISO format. Step 4: Click Convert Now to start the IMG ISO conversion. AnyBurn will start the to convert IMG to ISO windows 10 or other PCs. When the conversion finishes, you should see the message "Converting image file finished successfully". 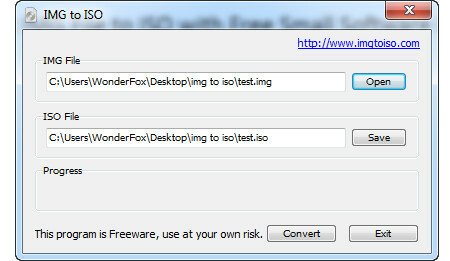 IMG to ISO is a free small software utility, as its name suggests, it can convert the IMG file to ISO image file. Step 1: In order to convert .img file to ISO with a free small software utility, firstly, download imgtoiso from http://www.imgtoiso.com/. Step 2: Launch the software and import the IMG file you want to convert. Then set the ISO output directory. Step 3: Click the Convert button to start the disc image file to ISO conversion. These 3 methods are the most effective ways to convert IMG to ISO. You can try one by one until you find the right one. If this article is helpful to you, please share it with more people. WonderFox DVD Ripper Pro is capable of backing up any DVD to ISO files. Besides, you can use this powerful DVD ripping software to cut DVD content, fix DVD interlaced issue and more.